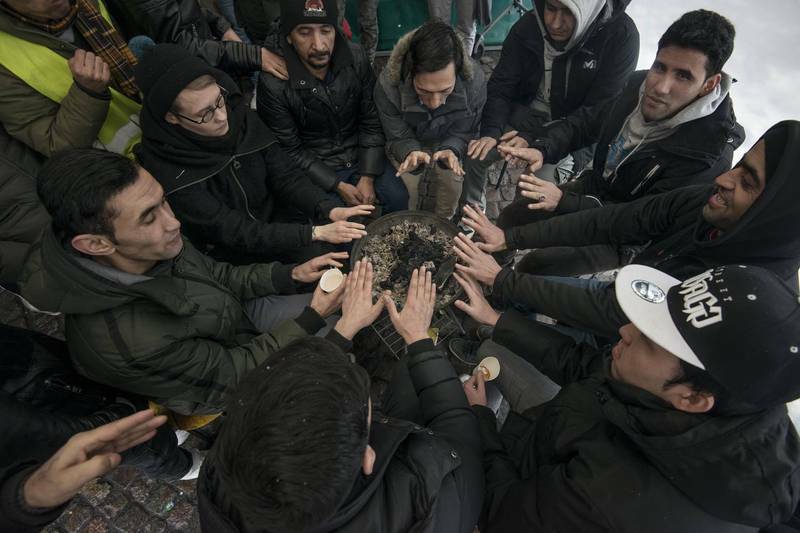 For the past month, Iraqi and Afghan asylum seekers, in particular, have been demonstrating in downtown Helsinki. One of their central demands is that asylum cases in which there have been problems in the handling should be processed again. The Finnish Immigration Service (Migri) systematically refuses to admit the problematic nature of its processes and decisions, let alone fix them. An excellent example of this was Migri Director General Jaana Vuorio’s op-ed piece, “A Negative Decision Is Not a Wrong Decision,” in the 3 December 2017 issue of Helsingin Sanomat. A negative decision is definitely not a wrong decision, but a flawed decision is a flawed decision. What, then, are these problems? 1. Migri has been using inexperienced and inappropriate interpreters. For example, an Iraqi asylum seeker’s Arabic language interpreter may have been from North Africa. The Arabic dialects spoken in Iraq and North Africa differ to such an extent that the asylum seeker and the interpreter may not have understood each other seamlessly, whereupon the interpreter has made essential errors in the translation. Yes, the asylum seeker is asked whether s/he understands the interpreter, but this is difficult to verify when the asylum seeker cannot know what the interpreter is translating in reality. 3. Migri has been ignoring and minimizing the testimony offered by the asylum applicants. For example, not all the written evidence has been translated and, among other things, the value of photographs and doctor’s certificates has been nullified. 6. In its negative asylum decisions, Migri ignores the fact that persecution is likely to continue in the future, even when the information and evidence given by the asylum seeker clearly indicates the persecution will continue. This, for example, is the case when the asylum seeker has been asked about at his or her parents’ home in the recent past. 8. Migri refuses to believe so-called secondary information, for example, that an asylum seeker’s home has been subjected to bombing. Migri doesn’t consider this information reliable if the asylum seeker has not witnessed it herself or himself, but has only heard about it from another family member, for example. 9. In its negative asylum decisions, Migri has admitted that the asylum seeker is subject to personal persecution, but the decision has been made, however, in light of the overall security situation in his or her country, not on the basis of the application’s personal criteria. 10. Migri’s country guidelines, on which [its assessments] of the safety of a country or region are rationalized, are based, at least in part, on outdated sources and are not in line with the UNHCR’s present guidelines. Such are all the faults of this kind, which are not based on Finnish laws, but on Migri’s internal practices. Thus, Migri can also fix them. Although Migri admits mistakes have occurred, it blames them on individual employees. However, the mistakes in Migri’s processes and decisions have been so widespread that they cannot be a matter of mistakes on the part of individual employees. Rather, the mistakes seem to be standard and deliberate practices at Migri. Migri also evokes the fact that asylum seekers have the right to appeal decisions to the Administrative Court, which corrects possible mistakes. The Administrative Court’s decisions are mainly based on the documents produced by Migri, so mistakes that have occurred in Migri’s processes are repeated rather than rectified in the appeals process. MigriLeaks will return to these problematic points in more detail in future posts.